I attended the book launch of "A sip of Love & A sip of Coffee" by Ganga Bharani yesterday in Chennai. Bought a copy and finished reading within half a day. This post is a brief review of the book along with few notes about the launch and publisher. Book launch happened yesterday at AVM Studios, Vadapalani. I arrived at the venue slightly behind schedule after entering and exiting 3 other AVM buildings in the campus that came before the actual venue. 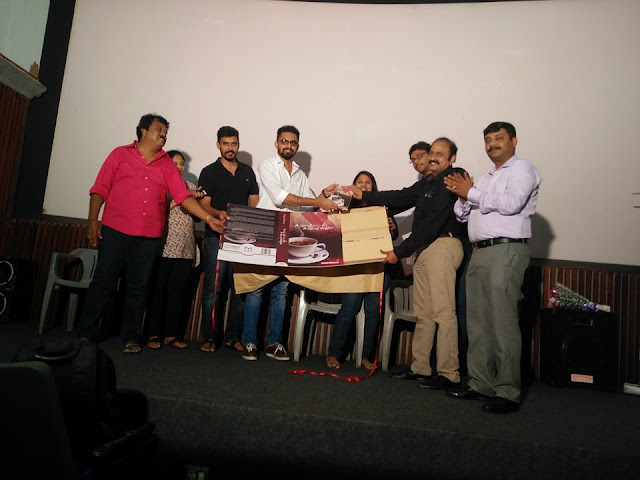 Event was hosted by Kavipriya Moorthy, a published author herself (read her recent posts for lots of practical tips on book publishing) and was attended by several prominent personalities of Tamil film industry, including Director Balaji Mohan. Book Launch: A photo from book launch, taken from Author's facebook profile as the photo I clicked from my mobile is not half as good. "A sip of Love & A sip of Coffee" is Ganga's 3rd book. The other two being "You me and a little secret" and "A minute to death" (both thrillers) I had purchased the first book but yet to complete reading it- should finish asap. During the course of the launch, audience realized the immense support author has received from her family and friends, (including in-laws who didn't object to my sleeping at 2 AM and getting up at 10 AM, in Ganga's own words.) That is great thing to have for any writer. Hopefully seeing Ganga's success more and more families encourage women to pursue their passion. Ganga also explained why she chose the venue and director Balaji to launch the book. Director Balaji Mohan confessed that he is not a book reader but promised to change that from now by reading this book and more. Another director Nandakumar praised Ganga's name and spoke more appreciation in Tamil. After the launch bought a copy of the book for Rs 140 and got it signed by Ganga Bharani. It was long time since I had attended a book launch and it was good to attend this launch again. 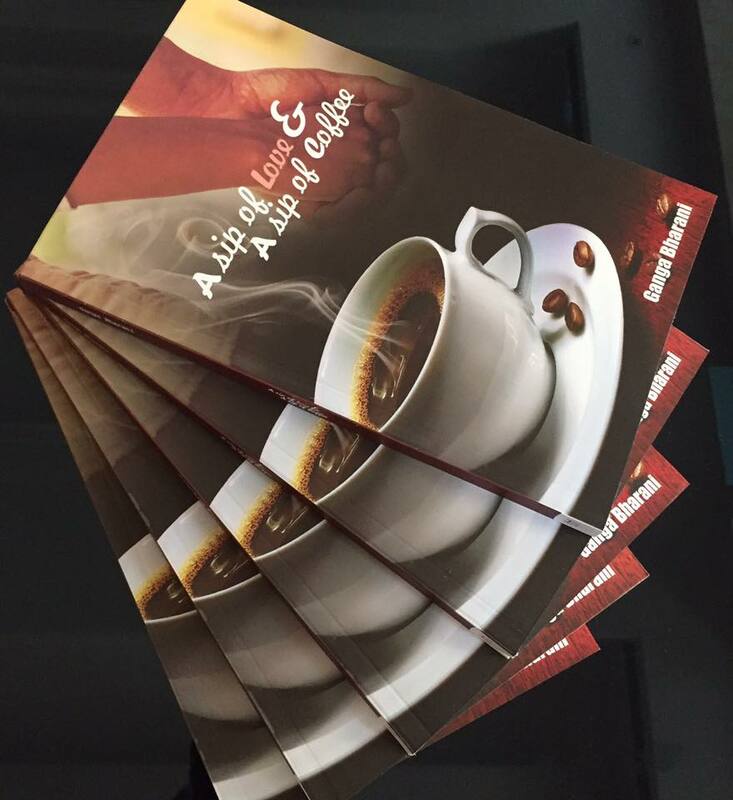 "A sip of Love & A sip of Coffee" is a teenage love story, targeted towards young adults, teenagers. It is a 150 pages fiction book written in simple English without any complicated wordings. Plot revolves around Avantika and Gautham, who are childhood friends who fall in love, break up, make up, break up again and eventually get on with their (respective) lives. Most of us will be able to apply the plot to our own lives and introspect. Most of the story happens between class 5 to class 12. 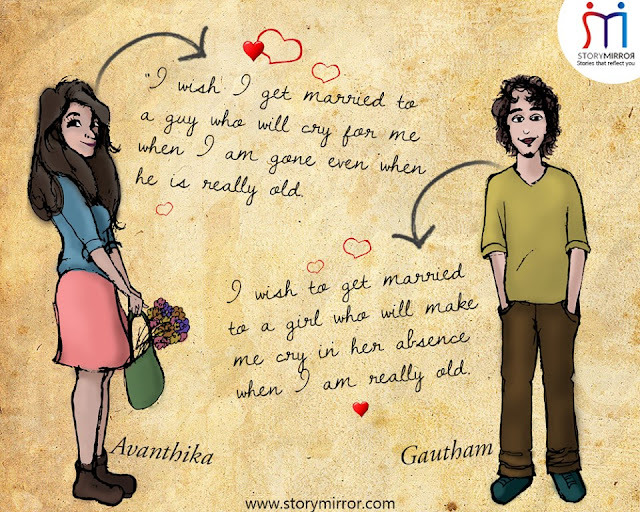 Plot clearly illustrates what happens when school/college going kids fall in the love trap- losing marks and such side effects. It gives perspective of both guys and girls, so both gender can benefit from this book and can get a sense of what might be going on in the other person's mind. (A mild version of Men are from Mars Women are from Venus, if I can say). "A sip of Love & A sip of Coffee" clearly illustrates that it is perfectly OK to have a crush during academics but it will be foolish to lose focus on studies because of silly things like break-ups. The target audience of this book, school/college going young adults MAY NOT be buying this book on their own. If grown ups can buy a copy of this book and gift it to teenagers in the family it can save them lots of trouble later. Lot of youngsters enter into unnecessary complexities such as eloping from home, abortions, losing focus on studies and failing exams and so on, all in the name of love when clearing academics should be one's priority. MRP of the book is Rs 175 only and is not heavy on the pocket. The plot takes place in 2005 where cordless phones were more common than mobiles. Author has kept the plot crisp and to the point- (few authors unnecessarily elongate to 200 pages) and the conversation style embedded into the book is very unique- where author interacts with the lead characters regularly to discuss about the story so far and the future plot. At some point author says "I write to tell the story I have in mind, not to sell more books". Appreciate it. As I read the book I spotted about half a dozen minor editorial errors, which I have communicated to author by mail (so that it can be fixed in next print). These are very minor and do not hamper reading experience in any way. About StoryMirror- StoryMirror is a relatively new publishing house, which is looking to launch 100 authors this year. After the event some of the bloggers had a chat with Devendra Jaiswal of story mirror, who reportedly quit is high paying banking career to start Story Mirror. Well established publishing companies seldom support first time authors.While lots of firms have come up recently to enable first time authors bring their book to life, most of them expect upfront payment from Authors (vanity publishing) instead of other way round. Lots of desperate wannable authors end up spending money to see their books in print, instead of earning from their books. StoryMirror claims it won't take a single rupee from Authors and will pay good loyalty like the traditional publishing houses. They are also getting into various regional languages and not just English/Hindi. For Ganga Bharani's book launch, they organized a pretty decent launch and marketing.